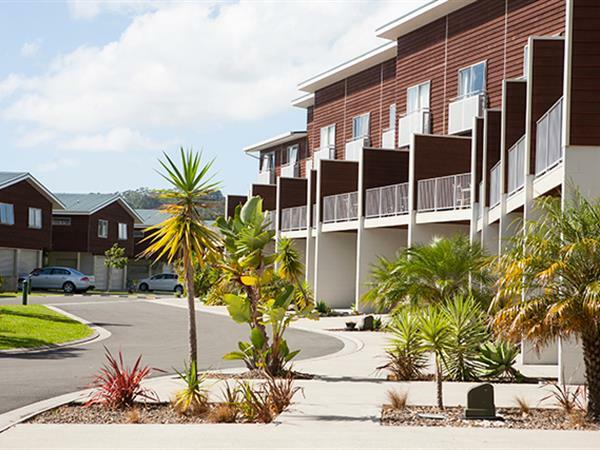 Oceans Resort Whitianga features two bedroom self-contained apartments, with a funky “sleep-out” bedroom at the rear of the internal converted garage on the ground floor. 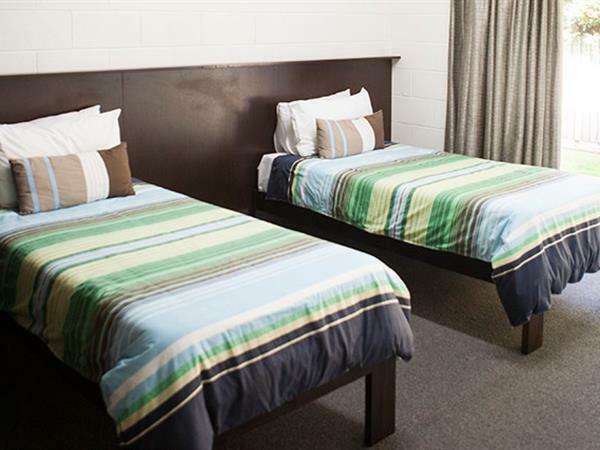 The "sleep out" consists of two single beds and a small bathroom with shower and toilet. These apartments are perfect for accommodating a larger family or a group. The "sleep out" bedroom is partitioned for privacy from the main garage. 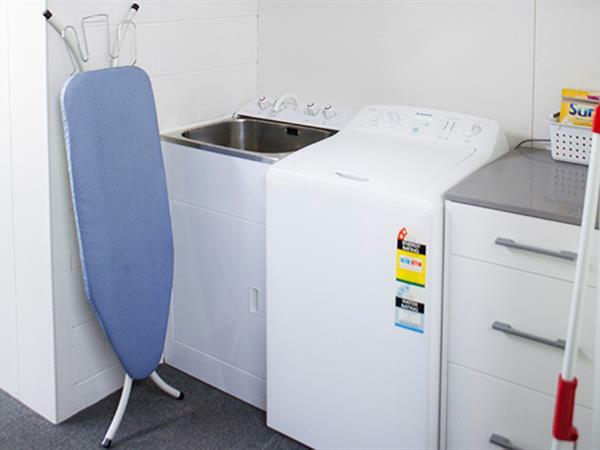 Full laundry facilities are also found in this area and include a washer, dryer, iron and ironing board. All apartments are individually furnished with contemporary décor and available in a variety of bedding configurations for sleeping up to six people. Each luxurious apartment has a modern, fully equipped kitchen, with a microwave, fridge/freezer, ceramic hob, oven and dishwasher. 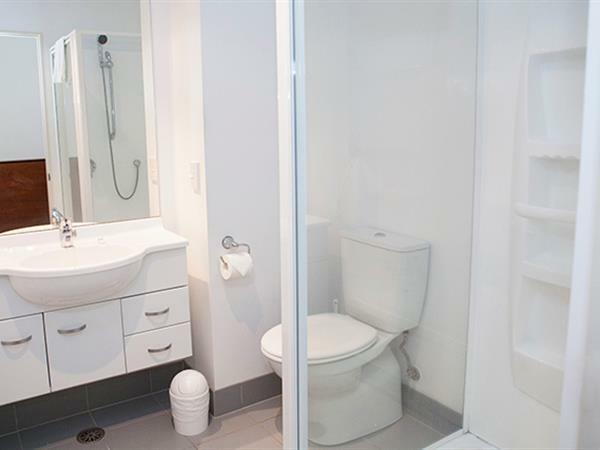 Apartments are serviced (Towels and Linen Changed) weekly on a stay of 7 nights or more. For your entertainment you will find a CD and DVD player and a television with SKY TV channels available in most apartments. Apartment balconies are furnished with outdoor settings. BBQ's are also available in some apartments. There is plenty of off-street parking with room for the boat and you are welcome to use the boat wash area during your stay. 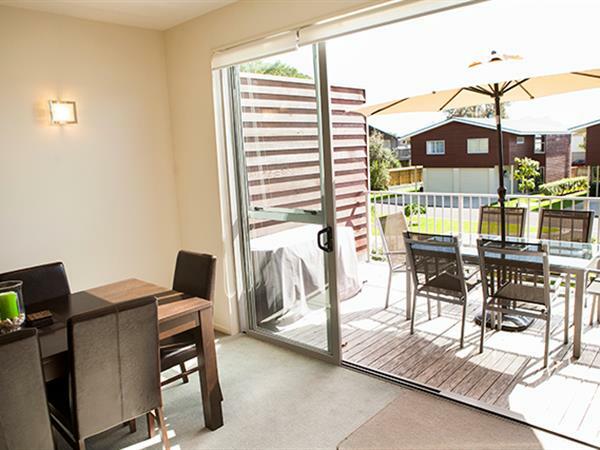 At Oceans Resort you are just a three minute stroll to Whitianga’s main street with its trendy eateries, the Whitianga wharf and the picturesque marina. 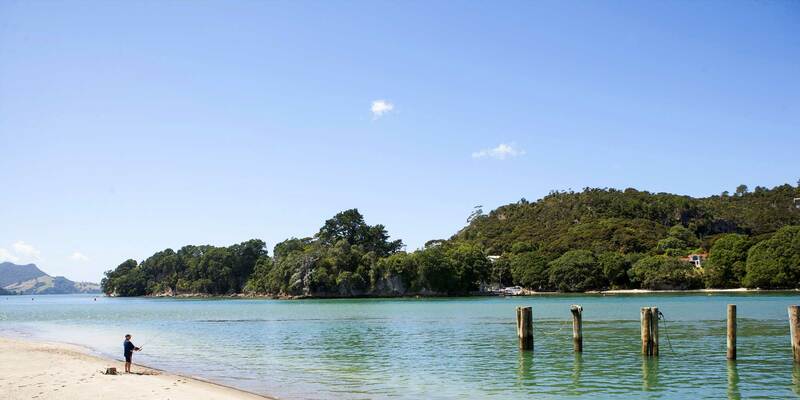 Golden sands and safe swimming are but a stone’s throw away with Whitianga’s beautiful Buffalo Beach on your doorstep. Please note, wireless internet access is not available to all apartments. Please let us know when booking if you require this free service and we will do our best to meet that request. » Maximum number of people is 6. » All apartments are non-smoking. » Minimum stays may apply. » No phone line access to the apartments. Please note: While we do our best to accommodate your needs, any comments are by request only and are not guaranteed. Sorry, rates and availability information is not accessible for selected dates. 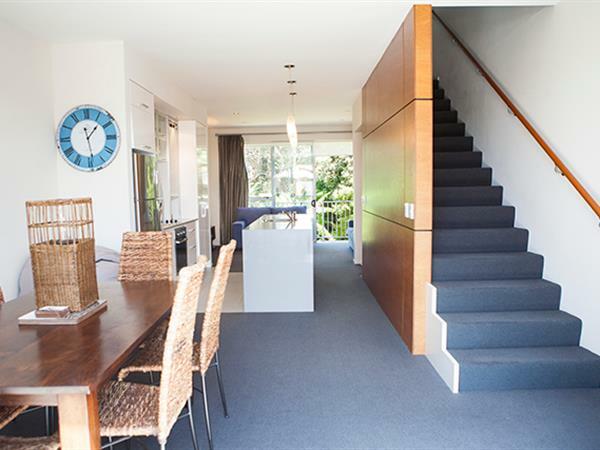 Please contact us by email: stay@oceansresort.co.nz with your enquiry. Thank you.